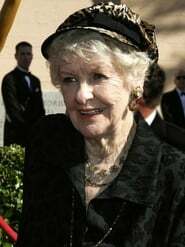 Elaine Stritch has starred in 22 movies. The 5 most recent movies Elaine Stritch was in are listed below. Next is the list of 1231 actors/actresses that Elaine Stritch has worked with spread over 62 pages. The list is sorted by the people Elaine Stritch has worked most frequently with. When you find the person you are looking for, click on the link to view a list of movies they have worked in together. If you decide instead to click on a movie with Elaine Stritch, it will display the top billed cast. If the cast members have starred together in other movies; beneath the cast member a list will display. Tom Tryon and Elaine Stritch have starred in 2 movies together. Their first film was The Scarlet Hour in 1956. Pamela Twyble and Elaine Stritch have starred in 1 movie together. Their first film was Autumn in New York in 2000. Shara Worden and Elaine Stritch have starred in 1 movie together. Their first film was River of Fundament in 2014. Peter Illing and Elaine Stritch have starred in 1 movie together. Their first film was A Farewell to Arms in 1957. Alvin H. Einbender and Elaine Stritch have starred in 1 movie together. Their first film was Autumn in New York in 2000. Vera Farmiga and Elaine Stritch have starred in 1 movie together. Their first film was Autumn in New York in 2000. Merwin Goldsmith and Elaine Stritch have starred in 1 movie together. Their first film was Cadillac Man in 1990. David Stepkin and Elaine Stritch have starred in 1 movie together. Their first film was Cadillac Man in 1990. Carlos González and Elaine Stritch have starred in 1 movie together. Their first film was Cocoon: The Return in 1988. Stephanie Oldziej and Elaine Stritch have starred in 1 movie together. Their first film was Cocoon: The Return in 1988. Dave Mallow and Elaine Stritch have starred in 1 movie together. Their first film was Krippendorf's Tribe in 1998. John Aylward and Elaine Stritch have starred in 1 movie together. Their first film was Monster-in-Law in 2005. Annie Parisse and Elaine Stritch have starred in 1 movie together. Their first film was Monster-in-Law in 2005. Allan Rich and Elaine Stritch have starred in 1 movie together. Their first film was Out to Sea in 1997. Esther Scott and Elaine Stritch have starred in 1 movie together. Their first film was Out to Sea in 1997. Alex Borstein and Elaine Stritch have starred in 1 movie together. Their first film was ParaNorman in 2012. Kevin Alvarengan and Elaine Stritch have starred in 1 movie together. Their first film was River of Fundament in 2014. Ernesto Briones and Elaine Stritch have starred in 1 movie together. Their first film was River of Fundament in 2014.